The common cold is a viral infection that affects the airway. It is caused by hundreds of different contagious viruses that live in the air and on things we touch. 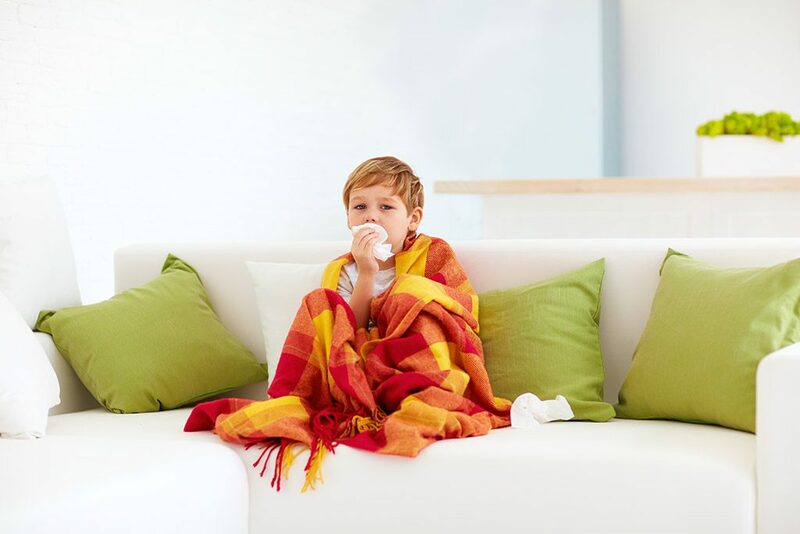 Children get 8-10 colds a year and each can last 1-2 weeks. The common cold can cause runny nose, nasal congestion, low appetite, sore throat, headaches, fever, fatigue, cough, sneezing, and wheezing. Symptoms can be more severe in children with a history of asthma. Colds are generally diagnosed through a history and physical exam. There is no cure or antibiotic for the common cold, but there are medications available over the counter that can help relieve some of the symptoms. It is important to note that children less than 12 months of age should not consume any products that include honey and children less than 4 years old should not be given any cough suppressants or decongestants. You can contact your medical provider for specific information regarding safe over the counter options for your child’s specific situation. In addition, you can use nasal saline drops and bulb suction to remove excess nasal secretions, a cool mist humidifier or sitting in a steam shower to relieve nasal congestion, and encourage lots of fluids with rest. It is important to wash your hands and cover your mouth with coughing to help prevent the spread of the illness. Contact your doctor for any prolonged symptoms longer than 10 days, difficulty breathing, lethargy, dehydration, or if your child’s symptoms begin to get worse throughout the course of the illness.